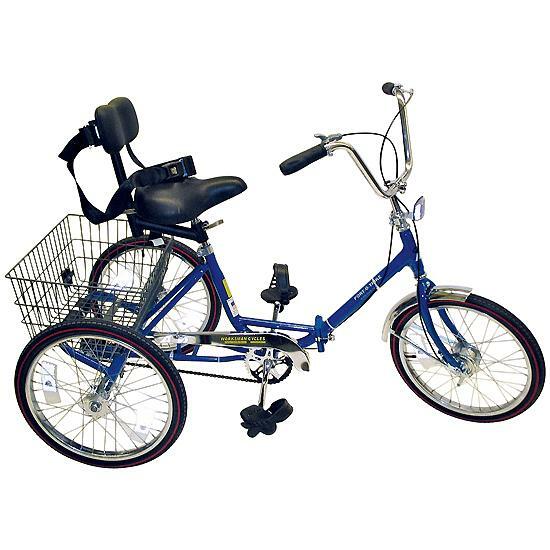 The Flaghouse Port-O-Trike is a Compact, single-speed adult trike that includes a hand brake and a coaster brake, backrest, seat belt, and weighted pedals. The Port-O-Trike provides the freedom and independence so greatly appreciated by individuals with special needs. FlagHouse is a premier source of quality equipment and programs serving physical education, recreation, special needs therapies and education. We provide resources that enable physical activity, learning and play—to make the world more accessible and rewarding for everyone, regardless of age or ability. Discover all of our recreation, sensory and adaptive solutions for physical fitness and development of life skills—www.FlagHouse.com.